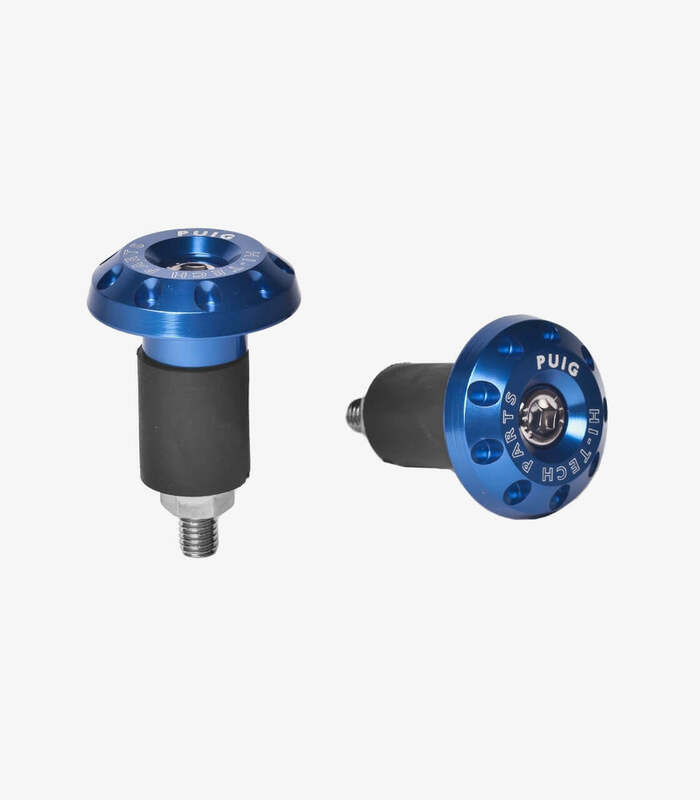 The handlebar bar ends Race from Puig color Blue are perfects to replace the default ones. Either because you have suffered a crash that has grated your default bar ends, or because you want to have bar ends that suits better to your style, these bar ends are your ideal option. Important: In some models is not possible put the universal bar ends. It's recommended that in the checkout, in the "Leave a comment" box, you enter the model and year of your motorcycle. Therefore, if we detect some incompatibilitie with your bike, we will contact you. Available in universal version and for Puig handlebars. The universal bar ends are mounted on the handlebar ends through silent blocks, some rubber tubes that fits with pressure (without thread). Instead, the bar ends for Puig handlebars have the thread adapted to the diameter of these handlebars. 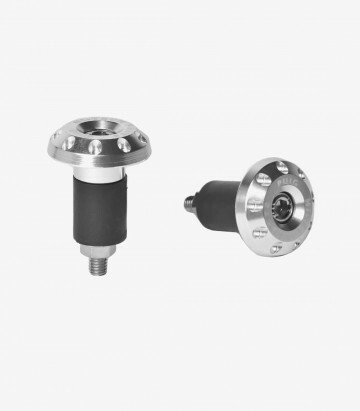 The visible zone that is exposed of the bar end is 8mm long. This bar ends has a weight of 32gr.